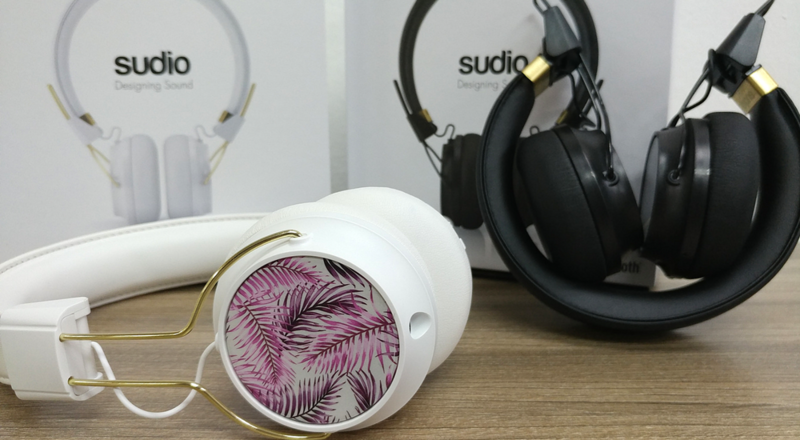 The last time we wrote about Sudio, they were taking a stab at wireless in-ear earphones, which we concluded looked great but were perhaps more suited for those who live the high life. 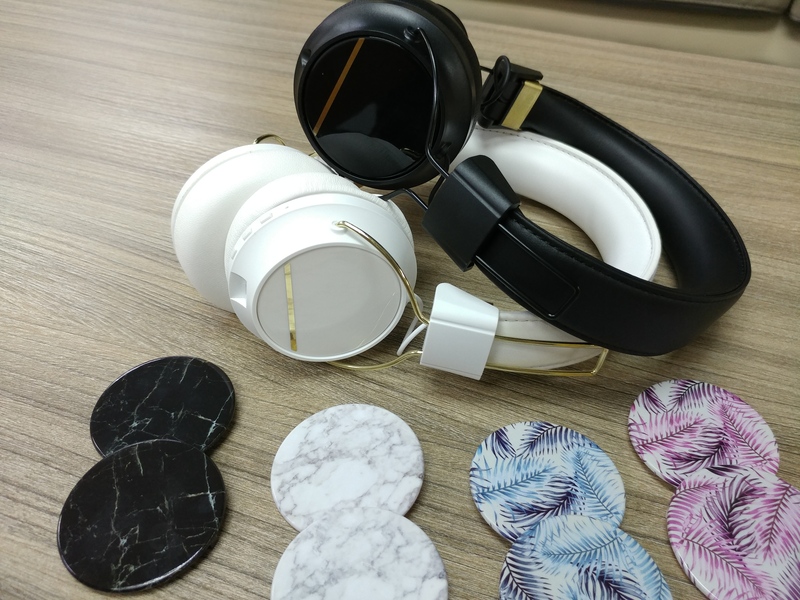 This time around, with the new Sudio Regent headphones that come bound in soft leather, and accented with metallic trim, they are definitely holding true to that quality of design that we’ve come to expect from them. When I was presented with sleek red-bowed white box, I was struck with the class and luxury that the simple package seemed to ooze. But after our last review of the product, I wondered. Will style win over substance again? I set out to test that. The box, as pictured above, doesn’t gift you with just earphones. 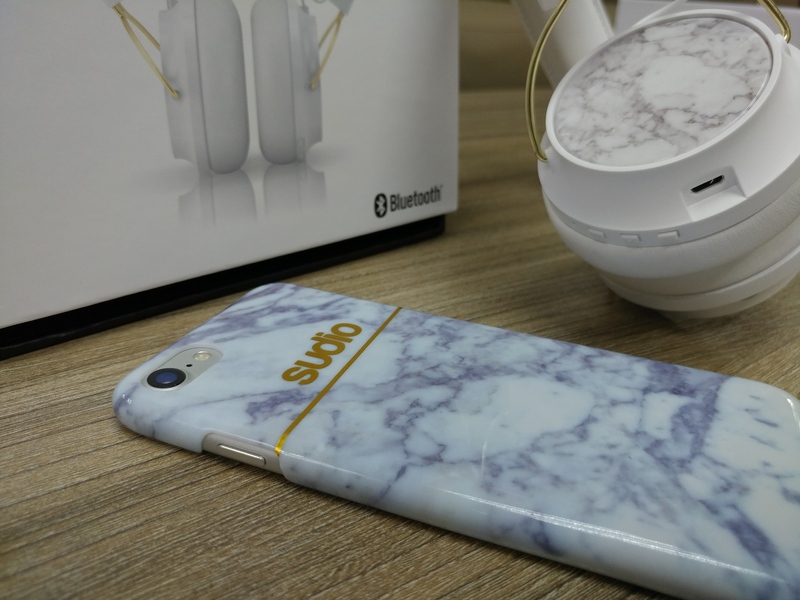 It comes with a free limited edition white marble phone case (with every online purchase) available for iPhone 6, iPhone 6+, iPhone 7, iPhone 7+, Samsung S6, Samsung S7, and also an extra set of detachable caps. This foray into headphones is going to be relatively new territory for me too, as a die-hard earphone user. I’m usually not a big fan of how headphones press into your ears, especially if you use them long-term. On top of that, they are also usually too bulky to bring around in smaller handbags. The Regent offers dynamic speakers at 50mm which are able to respond to frequencies between 18 Hz–22 kHz. You can choose to either use the equipped Bluetooth wireless option (which does require a bit of setup) or just plug in the 3.5mm audio jack and start using the headphones instantly. In my personal opinion, the wired option sound slightly better than the wireless option. In this, it’s the question of quality or convenience. A single full charge is supposedly able to last 24 hours, and when I tried to leave it on all the time during a full-day outing, I found that it was still able to play music smoothly by the end of the day, and even carried me through the next day of continuous YouTube-binging. Even when the battery runs dry, the headphones are still able to work perfectly fine with the cable jacked in while the earphones charge, though now at the cost of ease-of-movement. It may seem like I keep on harping on the design, but I’m only pointing it out so much because it is, in fact, what makes it stand out. Over the course of carting my new white babies around, I’ve caught quite a few admiring glances from my friends and family, and other outright compliments to how sleek it looks. I like the overall look of the headphones as-is, but the package we got also included different caps that can be used to swap the designs on the headphone cups. My personal favourite is currently the marble disk that matches with the cover that comes packed in the box, as below. But to that end, design does not begin and end at aesthetic. A great design should be both functional and pleasing on the eye. Again, I find that the Sudio Regent nails this. The headphones actually fold up, reducing enough of its bulk that I’m able to neatly tuck it into my purse. At a light 177g, I was also able to comfortably hang it on my neck if I wanted to. The leather, more than just an aesthetic tool to appeal to those with sophisticated taste are actually delicate cushions that gently nuzzle everything from the top of my head to the press on my ears. My ears do hurt slightly when I have them on for a full workday, but that’s nothing compared to the pain that I usually get on the side of my head after putting on other types of headphones that I’ve tried so far. This is helped by the flexible lining they’ve used to make the skeleton of the headphones that morphs to the shape of one’s head rather well. 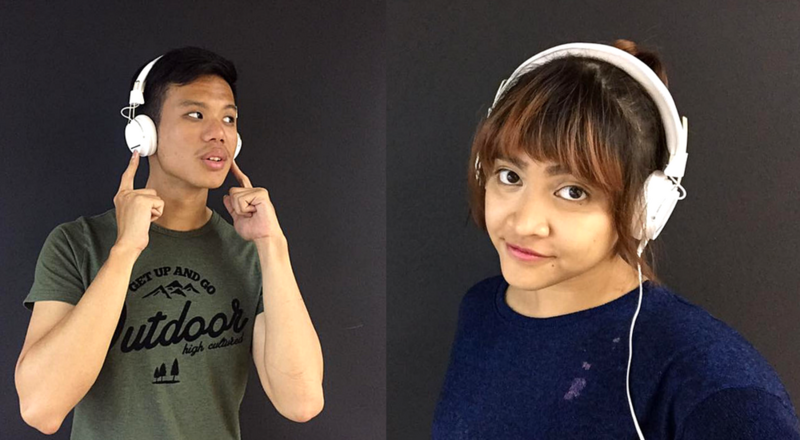 The same headphones can mold to different head shapes quite comfortably, no matter big or small. Okay, But How Does The Sound Hold Up? For relatively small earpieces, the noise-cancellation aspect of the design is really top drawer. I’ve lost count of how many times my fellow writers and editors have had to angrily yell at me to get my attention when I plug these in at work. You’ll probably still hear loud bass booms in a club or music festival, but I found my weekly grocery shopping trip with these allow me to block out the world as I browse, despite noisy kids or chattering adults. The speakers boasts some great bass sounds, giving the earpieces a pleasantly warm tone. I tried them out on all of the different genres I had on my iPhone, from heavy rock, pumping EDM sounds, to slow orchestral ballads. For the Regent, I’m happy to report that the sound is crystal clear and sharp, but only especially if you’re tuned towards the techno/club music genre. I did find that the dulcet bass sounds come at the cost of the treble, which does mean a less satisfying experience on slower ballads, instrumentals or your usual top 40s hits. That being said, the treble can easily be boosted with some fiddling on your phone’s equaliser, which to me at least, was good enough to make the sound more balanced. Furthermore, as someone who is used to gaming earphones, the stereo capability of the Regent is a tad lacking, though that is nitpicking. It does still produce a full sound, enhanced further with the great noise cancellation. Other than that, I was still able to pinpoint the different instrument sounds in each song with relative ease, which to me marks at least a decent piece of audio gear. All the different designs of caps to go with your Regent. This nicely packed pair of headphones does go up to RM649 (but you can get a 15% discount with the code vulcanpost). If I had to pay that amount of money to just get the headphones, I’d perhaps think long and hard about it, despite the soft leather finish all over the pair. However, the inclusion of the phone case and the set of extra caps does balance out the value of the whole box for me. 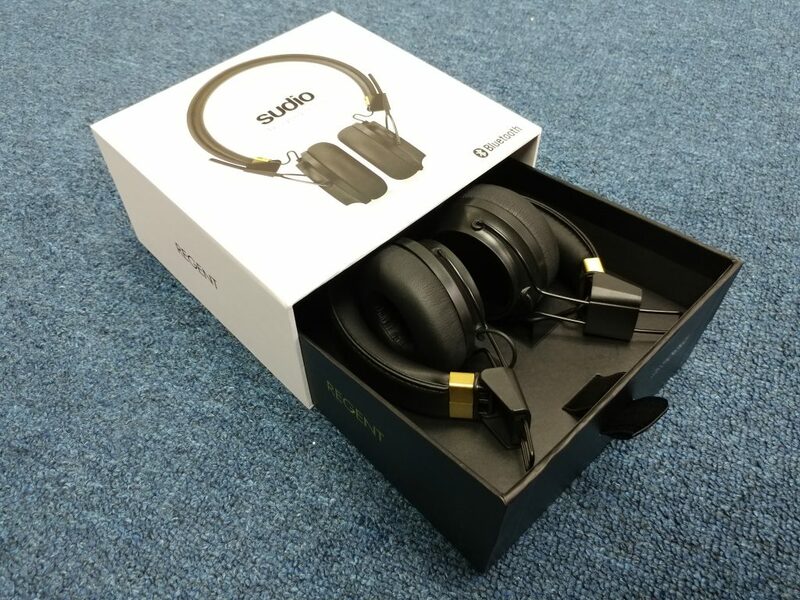 While it is still a slight case of style over sound, I find that this entry into the Sudio catalogue does hold up better than the Vasa Bla earphones when it comes to music, offering some strong pros in the booming bass sounds that even my fellow writers in the office approved of. That being said, my conclusions fall somewhat similarly to the previous review. I find that these will attract a very specific type of person, rather than have an overall mass appeal. 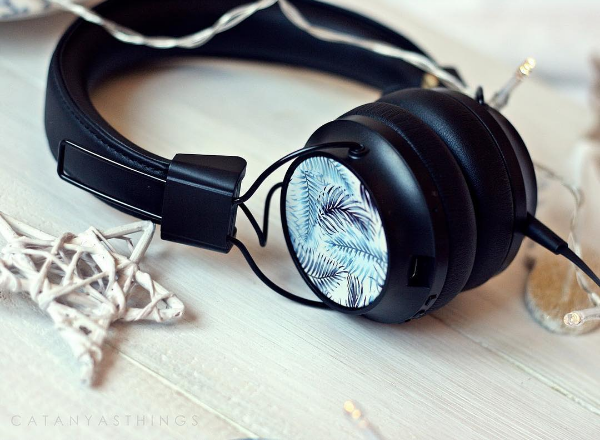 Those who like both style and comfort and EDM-heads might be the best fit for this product. In fact, I can just see these headphones resting on the shoulders of a cheering attendee at a music festival, swaying their head to the music in comfy, but no less stylish clothes to match their fancy new Regent. If you find that this description appeals to you, then the Sudio Regent will probably be your type of headphone. It is a high price point for the audio quality that you’re getting, but what you may lose in sound, you do gain in its design points, that includes comfort and flexibility. As for me, I’m sold by the ability to block out the world around me as I focus on work. Furthermore, the sound is at least decent enough that I can sink into my own little zone as I work on my daily chores, from writing, to running errands. But when it comes to listening to an anticipated album for the first time, I might consider opting for a pair of earpieces that offers more bang in the sound. 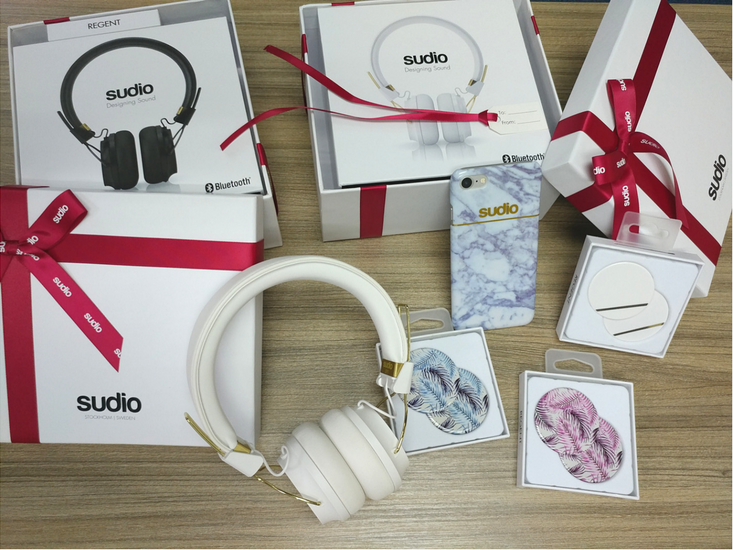 If you’re interested in getting yourself a pair, you can check out the Sudio Regent earphones here. Use the voucher code vulcanpost for a 15% discount.